» With effect from 1st October 2017, Dynomax Drilling Tools Inc. together with Dynomax Middle East LLC entered into an agreement with OSC Dynomax Limited to be the exclusive supplier of Dynomax products in the Middle East, Asia, and Africa and non-exclusive supplier in Europe. OSC, with their impressive network in the region as well as support facilities will be instrumental in the continued growth of the Dynomax product lines. The entire Dynomax Middle East team who have worked hard to upload our reputation for superior products, quality and service will be an integrated part of OSC Dynomax Limited. With effect from 1st October 2017, Dynomax Drilling Tools Inc. together with Dynomax Middle East LLC entered into an agreement with OSC Dynomax Limited to be the exclusive supplier of Dynomax products in the Middle East, Asia, and Africa and non-exclusive supplier in Europe. OSC, with their impressive network in the region as well as support facilities will be instrumental in the continued growth of the Dynomax product lines. The entire Dynomax Middle East team who have worked hard to upload our reputation for superior products, quality and service will be an integrated part of OSC Dynomax Limited. 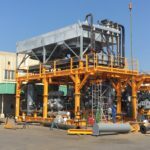 OSC Engineering Services have designed and fabricated the Pressure Vessels and Air Coolers in accordance with ASME Section VIII Div 1 / API 660 and TEMA, ES has also fabricated all the base Skids and the associated Piping. OSC Engineering Services has recently manufactured 4 Water Bath Heaters each weighing 98 Tons. This is a new product to our Company which functions by submersing a process coil into a heated bath solution, which then indirectly heats the process liquids and gases to create energy. This equipment has 3 components – Shell, Process Coils and Fire Tubes all made of carbon steel with the process coils subject to 100% radiography to ensure the highest level of safety and integrity. The fire tubes fabricated from seamless pipes are for efficiently transferring the heat to the water bath. 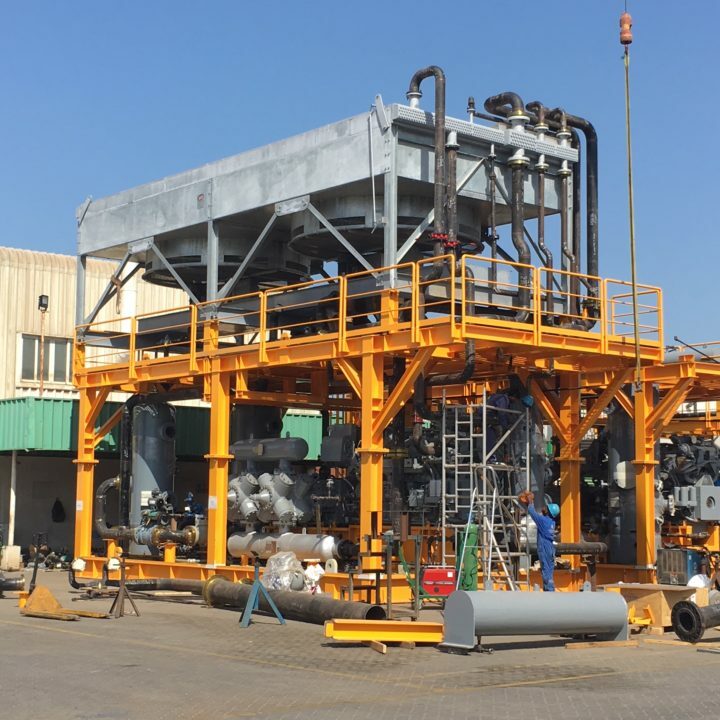 Our scope includes manufacture, testing, insulation and painting and these heaters were manufactured for a gas pipeline project in Nigeria.